If you fancy yourself an ‘average American’, you can expect to move 11.7 times during your lifetime. If you're looking to buy or rent a home in the near future, it is not impossible that you may stumble across one of many haunted residences in the USA. While many fans of the paranormal may find the idea of occupying a haunted house fascinating, it's very unlikely that your real estate agent will disclose any supernatural occurrences during the viewing. Having a medium visit any prospective properties is one way to determine, prior to signing any paperwork, whether a house is haunted or not. 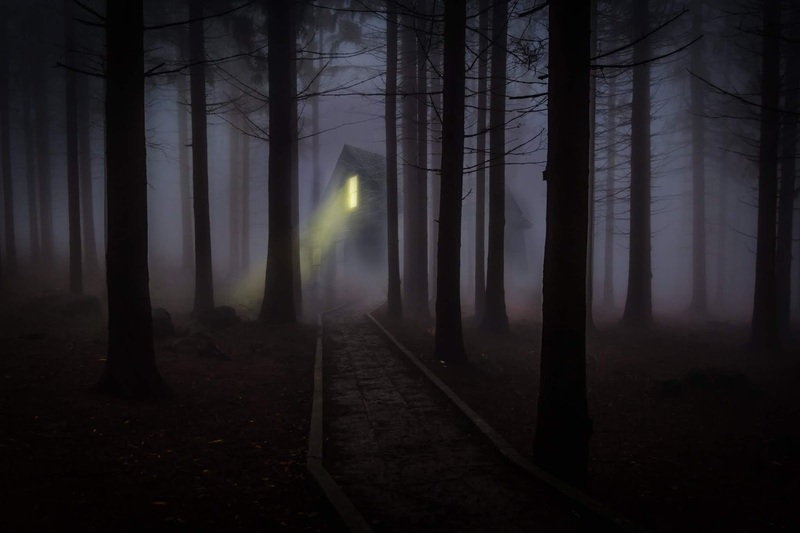 If you have, however, already moved into your new abode, you can keep your eyes and ears open for a number of signs that point to the paranormal occupation of your home. Ghosts do not exist in the same dimension as we do, and need conduits to make contact with our world. One of the most prevalent channels they make use of is electricity, which is why electronic gadgets often appear to glitch in the presence of supernatural beings. While flickering lights, TVs that increase in volume by themselves, and ringing cellphones with no caller at the other end may all be attributed to legitimate electrical problems, it may also point to a mystical manifestation in your home. If you want an expert opinion on whether the home you are buying or renting is haunted, get a pet. Animals are able to pick up sights, sounds, and presences that are completely undetectable to humans. If you notice your furry friend suddenly gravitating towards a certain part of the home, or suddenly stop in their tracks and hiss or bark at something unseen, it could mean that they are sensing a supernatural presence. If you would like to know if your new home boasts paranormal activity prior to moving in, consider taking your pet along for the viewings, as they are bound to pick up any disturbances even the most candid of real estate agents are unwilling to disclose. One of the easiest ways to tell if your house is haunted is to pay attention to any mysterious changes in the temperature. Cold spots have historically been associated with supernatural activity. This strange phenomenon was cleverly depicted in the award-winning movie The Sixth Sense, which saw numerous characters see their own breath just before a paranormal occurrence. These cold spots can be attributed to the fact that spirits require energy and pull energy in the form of heat from our realm. Before you assume the worst (or the best) though, check with a builder if your house may not just be in need of some insulation. Living in a haunted house could be quite an adventure. Whether you choose to embrace your ghostly roommates or prefer seeking alternate accommodation, knowing how to spot a paranormal presence can always be of good use.